We are a single mission of building usable and scalable products and successful businesses with lean and agile methodologies. In order to be the best in our craft, we also work on homegrown ideas and spin off the most promising ones as separate ventures. Our journey so far has taught us a lot and we derive our values from it. Our culture, nothing but our values in action, is a priority for us. Giving great service to our clients in every phase of project is our mantra to become best from good! Life remains much simple if we keep relationships open and honest. To remain competitive forever we have to teach each other and our clients. Technologies change, Requirements change, Designs change, People change, We change! We learn about new industries, new people, new problems, new solutions almost everyday while building software with client. We are unusually transparent with our clients and employees. That’s not the easy way but it’s the only way. We follow agile development practices. Agile development process produces high-quality software in a cost-effective and timely manner to meet customer’s changing needs. This reduces chances of product release time and reduces chances of failure as user adaption can be tested quickly and necessary corrections can be made during the development itself. Our solutions work because of our people, who never get tired of learning and improving. Our people are good at what they do and that is what you pay for when you hire Digicorp. Good people need a good salary. Good people need a nice working environment. We are not a company that plays by the hours clocked in. On the contrary, we believe that working over hours as a habit leads to bad work. We don’t make free prototypes. We don’t work on weekends. We don’t work crazy long hours. Digicorp is started by 4 computer engineering graduates. Digicorp has worked with early stage and growth stage startups, agencies, SMEs and enterprises. Digicorp has delivered Products & Services for clients in various Industries. Digicorp has invested in 15+ home grown Ideas, 3 of them are separate ventures with $20mn+ Combined Valuation. Digicorp was founded in 2004 in Ahmedabad – a city with more than 600 years of history and the 3rd fastest growing city in the world. Over the period, we have positioned ourselves as a “reliable technology partner” or “product development partner” for clients across the world. He is also working as a Mentor & Co-Founder of Vastra App (Making Life of Textile Manufacturers easier.) a Digicorp Venture. Working towards building a company where the right ideas grow. Apart from building technology products and businesses, Kuntal has an active interest in learning Yoga and other Vedic Literature. Nachiket oversees all aspects of business development, from creating new opportunities to nurture & develop business from the current clientele. Nachiket oversees all aspects of business development, from creating new opportunities to increasing business from the current clientele. 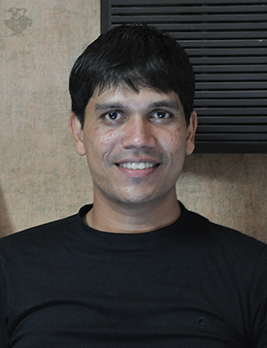 Nachiket is also responsible for overseeing Digicorp’s financial planning, analysis and reporting. Nachiket has a cautiously optimistic personality and has a wait-and-watch attitude in precarious situations. He is the balancing factor of Digicorp which keeps us grounded and helps us avoid pitfalls. An avid sportsman, has a passion for trekking, long-running (Yes, Marathons), road trips and clicking photos. Nachiket loves to play cricket and table tennis. He is a nature and music lover. He is also trained on the Tabla. 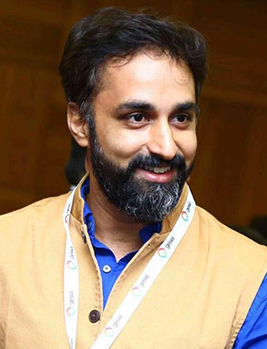 Abhishek is a co-founder of Digicorp and founder of CricHeroes. CricHeroes is World’s #1 Cricket Scoring App and Cricket Network. He is a strong believer of Getting Real philosophy and makes sure that everyone, including clients, reads it even if he has to email it in a piece meal fashion! In his free time you will probably find Abhishek either outdoors playing cricket, watching a good movie; or indoors reading books, playing with his lovely daughter and son. 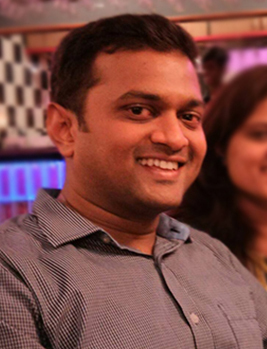 Sanket looks after Sales and Marketing at Digicorp. He is currently focused on building strategic partnerships in USA. 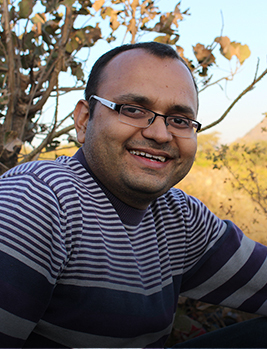 Sanket lives in Austin, TX and loves road trips, trekking, learning and experimenting new technologies and watching movies. Digicorp wins “Best Software Company – Rising Star” award from GESIA in 2010. Digicorp featured in ODesk Newsletter entitled ‘A success story’.